Located in the classic Chase Park Plaza Hotel, the T-Room offers delicious steaks in an elegant setting. From their special Pepperloin a la Tenderloin to their Cowboy Ribeye, you’ll enjoy steak the way it was meant to be. They have an extensive wine list, as well as desserts such as Cherries Jubilee, which is perfect to have with a glass of one of their fine cognacs. Location: 232 N. Kingshighway Boulevard, St. Louis, MO. Feeling adventurous? This wonderful restaurant offers a unique, vegetable-driven menu as well as sustainable meats and fish. Try their turnip shell tacos or Berkshire pork, and sample their botanical cocktails, craft beers, and fine wines. Location: 4260 Forest Park Avenue, St. Louis, MO. For the freshest seafood in the midwest. Peacemaker Lobster & Crab can’t be beat. The menu includes favorites such as po’boys, steamers, gumbo, clam chowder, and lobster rolls, and their raw bar features fresh oysters, stone crab claws, and peel-and-eat shrimp. Get yourself a Sazerac or other classic cocktail and enjoy. Location: 1831 Sidney Street, St. Louis, MO. This busy Midtown restaurant serves some of the best barbeque you’ll find anywhere in St. Louis. In addition to their ribs, which were named the Best in America by the Food Network. They serve classic Memphis-style barbecue including pulled pork, pulled chicken, beef brisket, and spicy sausage. We’re big fans of their Frito Pie. Location: 3106 Olive Street, St. Louis, MO. Whether you take-out or dine in, Dewey’s Pizza always hits the spot. Their menu includes a variety of specialty pizzas, calzones, and salads. Grab a slice or a whole pie and enjoy. Location: 3559 N. and South Road, St. Louis, MO. There are so many great restaurants in St. Louis, and our list just barely scratches the surface. 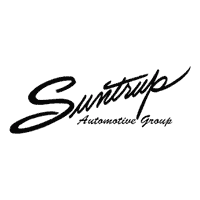 Check our Suntrup Automotive Group blog to find out about holiday activities, springtime events, and other things to do and places to go in the St. Louis area. If you have any questions, or would like more information, please feel free to contact us.